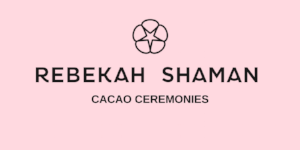 We are available to facilitate tailor-made Private Cacao Ceremonies in your area. A private ceremony is a great way to focus a Cacao ceremony on your particular need, and make a deeper connection with cacao in smaller, more intimate groups. Why not try a Cacao' hot chocolate drinking' Bar to add an extra lift to a party. This is the perfect way to add something special to your social gathering. Especially designed for those who are teetotal but also want to party. Cacao helps you feel loved up and blissed out, giving you a natural high without the hangover! A Cacao Ceremony can add a touch of magic to a Hen Do. Try a unique Hen Do approach by bringing your group of ladies together for a day of love and joy, drinking chocolate. It's the perfect way to deepen connections and friendships, and more importantly, it gives the bride a chance to switch off from the 'wedding planning' chaos, let go of any stress or anxiety she may be feeling, and be taken on a deeply peaceful, relaxing and harmonious journey. A Cacao ceremony is the perfect preparation before the bride's big day. A Cacao Ceremony is a great tool for team building and bonding. We tailor make our team building cacao ceremonies to your needs. Journeying together with Cacao is a very imitate, yet individual experience. It creates more harmony and connection in the workplace, increases the flow of creativity and productivity, and aligns the team's focus and clarity. Please contact us below with your requirements and we will get back to you shortly!